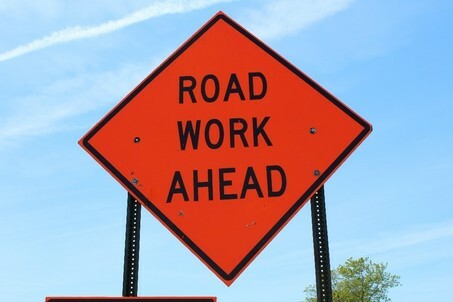 Spring is right around the corner, and that means that the Road Commission is getting ready for all the road improvements planned this summer in Ottawa County. The Road Commission is scheduled to be very busy this year with road reconstruction, resurfacing, and preventative maintenance. There are scheduled to be almost twenty miles of primary road improvements, over six miles of local road improvements, and over seventy miles of preventative maintenance performed. With increased funding from the State, and the Countywide Millage still in effect, the Road Commission can perform work on many roads that desperately need it across the county. Primary road improvements in 2018 mainly consist of resurfacing projects, and one large reconstruction project. The reconstruction of Cottonwood will greatly improve traffic and safety conditions along Cottonwood, from Bauer to Baldwin, and will improve the Cottonwood/Baldwin intersection. 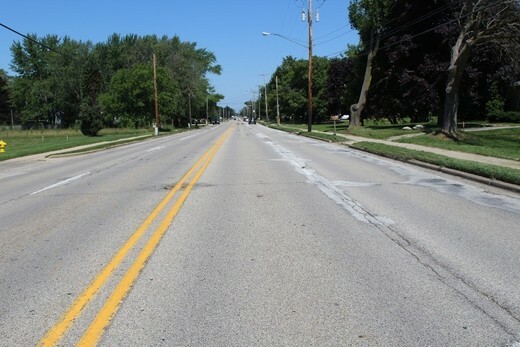 The resurfacing projects include two large stretches of Lakeshore Drive, an almost five-mile-long section of Osborn/Bass/Warner, and many more projects. You can view all the improvements planned for the 2018 construction season on our website: HERE. Local road improvements include funds from townships as well as general transportation funds. 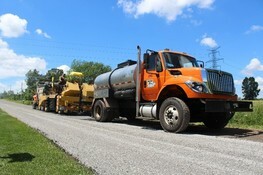 They include resurfacing of several local roads and subdivisions. Local road improvements also include the re-graveling of some of the dirt roads in Ottawa County, which is performed through a 50/50 cost sharing program between the Road Commission and the township. Preventative maintenance includes both chip sealing and cape sealing. These preventative maintenance treatments are a cost-effective way to extend the life of roads. You can learn more about the process and benefit of preventative maintenance by watching this VIDEO created by the Road Commission. s about detour routes for closures, and information for residents whose street is being resurfaced. As projects get closer and more details are decided the Road Commission will keep residents updated. We hope you find all this information useful and look forward to driving some of the newly paved roads across the County! 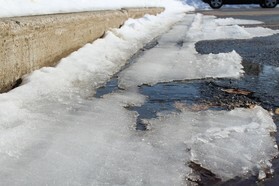 Spring means there are some things residents should start to think about as the snow melts. During the thaw potholes can become an issue (as discussed in February’s Newsletter), flooding can be an issue, and gravel roads become muddy. Be on the lookout for potholes, as we transition from winter into spring they will show up more frequently. Be sure to drive carefully over potholes because they can cause damage to vehicles. In the last newsletter we also addressed storm drains. If you have a storm drain in front of your house, make sure to keep it clear of debris so water can freely drain as the snow melts. Also, remember that culverts under the driveway are the homeowner’s responsibility. A clogged culvert can cause flooding, especially in the spring when the ground is saturated, and the snow is melting. Lastly, gravel roads can become difficult and messy to travel in the spring, and keep in mind that while the roads are wet the Road Commission cannot grade them, as it would only make the problem worse. We advise residents on gravel roads to drive carefully and take it slow until road conditions improve. Another springtime occurrence is weight restrictions on certain roads across the state. Each county has a list of restricted roads and all-season roads. 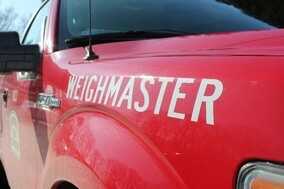 When weight restrictions go into effect in the spring, weight limits are reduced on all roads except all-season roads. This is done to protect the roads from damage while they are weak. During the spring, when the ground is wet underneath the roads, they are more susceptible to damage by heavy loading. All-season roads are those that are built with the thickness and width to be able to handle heavy loads year-round. The Road Commission releases the list of all-season roads and a trucking map every spring (which can be found on our website), and then we send out notice when the weight restrictions are in effect. The weight restrictions are enforced by our weighmaster, and there is a fine for violating the weight restrictions on a restricted road. By enforcing these seasonal weight restrictions, the Road Commission can protect roads from damage and help lengthen their usable life.